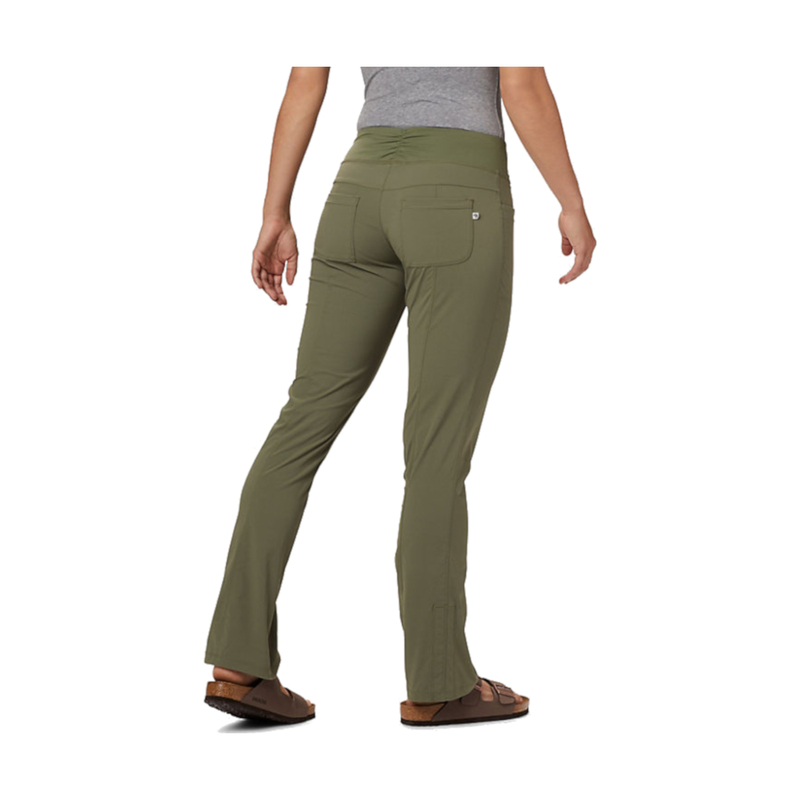 The Mountain Hardwear Women’s Dynama Pants are the ultimate adventure trousers for women, designed for hiking, yoga, wearing to the climbing wall and anything else you want to wear them for. 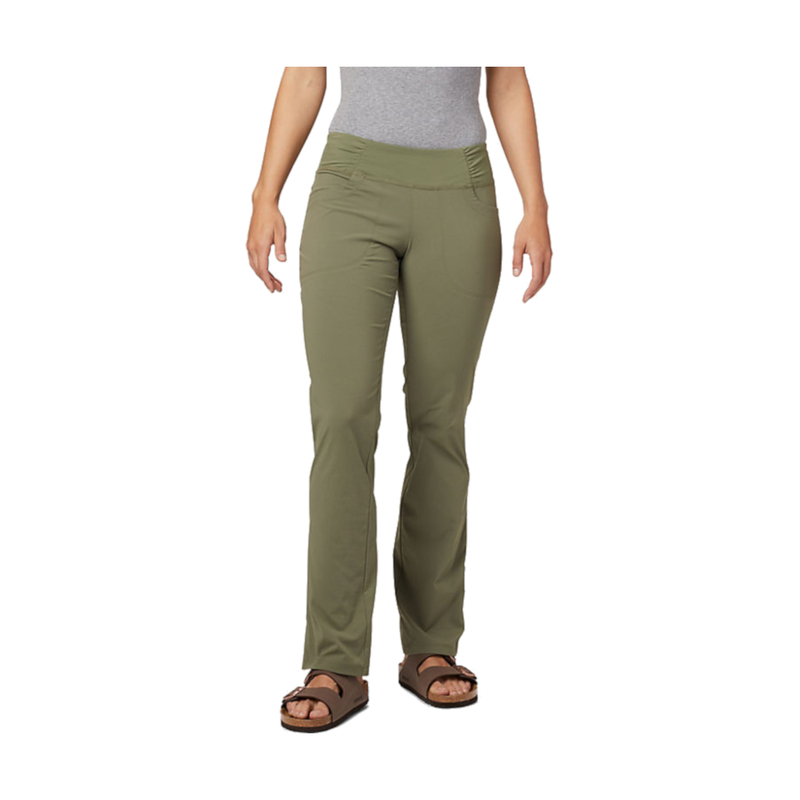 Made from a loose-fiting, lightweight blend of nylon and elastane, the Mountain Hardwear Women’s Dynama Pants are fast-drying, breathable, easy to move in and durable – plus they have a DWR finish, which repels water for a little extra versatility. 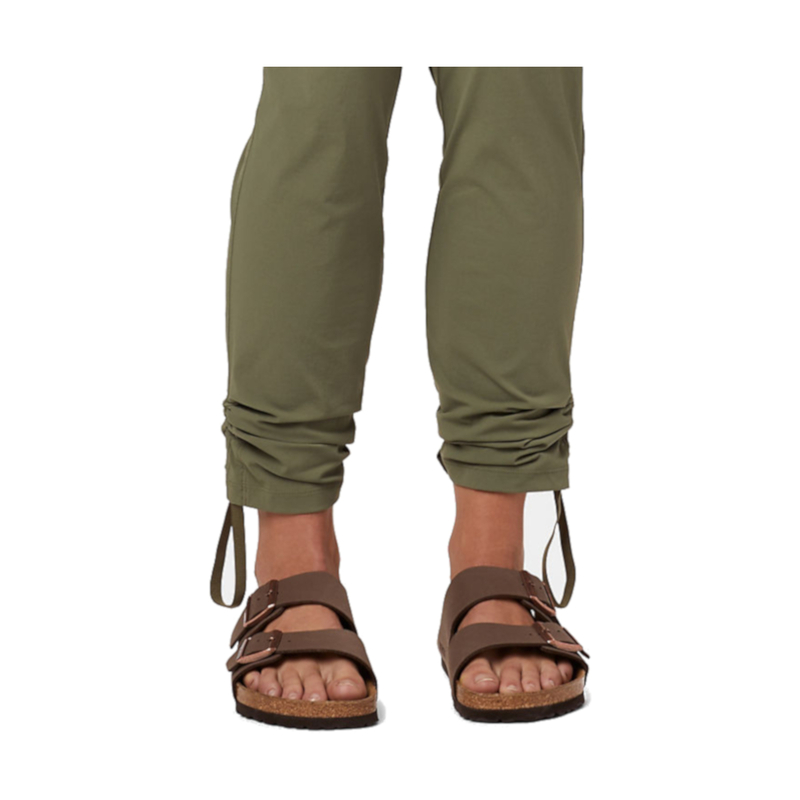 Useful features include two front and two back pockets, a comfortable stretch waistband and stylish adjustable ankles so you can keep the hems out of the way when you’re hiking through the mud. 96% nylon, 4% elastane. The DWR (Durable Water Repellent) finish has become almost ubiquitous in the outdoor industry, and the satisfying water beading it provides has become the hallmark of a beautiful jacket. It is not strictly waterproof but will provide protection on it’s own against a light shower; however it does wear off so needs to be topped up from time to time. The DWR stops water from soaking into the outer layer of waterproof fabrics like Gore-Tex meaning they remain breathable and light in even in heavy rain.